Suitable materials: soft film, wallpaper, reflective film, canvas, carpet, leather, PVC cloth, etc. 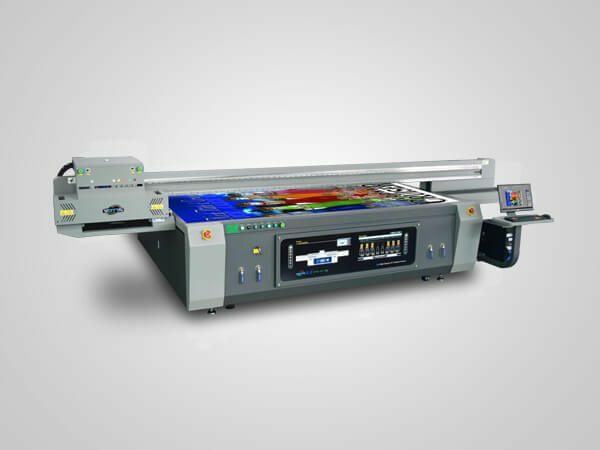 Featured 3.2m print width, YOTTA’s YD-R3200R5 roll to roll printer creates high-resolution digital printing results on soft film, wallpaper, reflective film, canvas, carpet, leather, PVC cloth and other flexible materials. 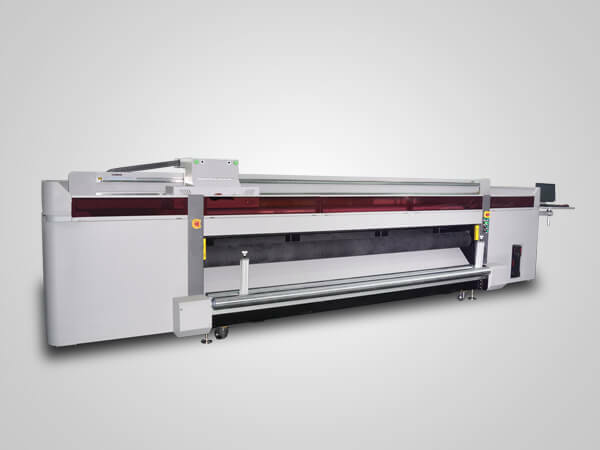 It employs Ricoh Gen5 grey level industrial inkjet printheads, 7 colors optional and vanish printing supportable, which can help users produce full-color and attractive images, meeting the needs of decoration, advertising industry and other commercial uses. 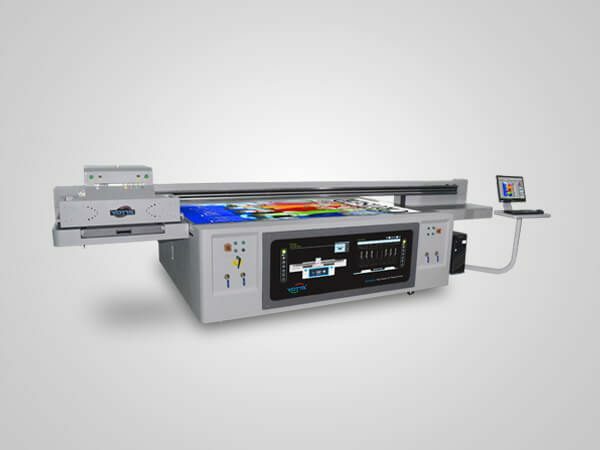 YD-R3200R5 roll to roll printer adopts a series of high-end accessories. With easy-to-use functions and humanized safety protection designs, it can save your time, simplify workflow and improve efficiency and productivity while maintaining the printing quality. Adopting 2-8pcs Ricoh Gen5 industrial printheads featured 7pl-21pl variable ink droplet printing and capability of printing 2pt font clearly, this 3.2m YD-R3200R5 roll to roll uv printer presents high print resolution of 600×2400 DPI. Printer frame made by five-axis machining center, ensure the high precision of the whole machine. Use special marble flat scale to debug lead rail straightness (within 0.02mm) and parallelism (0.01mm), to achieve accurate moving of carriage. High-temperature tempering treated integral steel frame structure, which will not deform during long-distance transport and handling. Using double rail steel frame beam structure, the carriage is more stable, achieving faster and smooth printing. The beam and the whole frame are made by a large five-axis machining center, one-time processed, ensure high precision. Safety protection grating design to protect machine and personnel safety. Double negative pressure system for color ink and white ink separately, delivering more stable ink supply. LED-UV ink curing system which has longer service life compared to mercury lamp curing, no excess heat, energy-saving, also efficient. 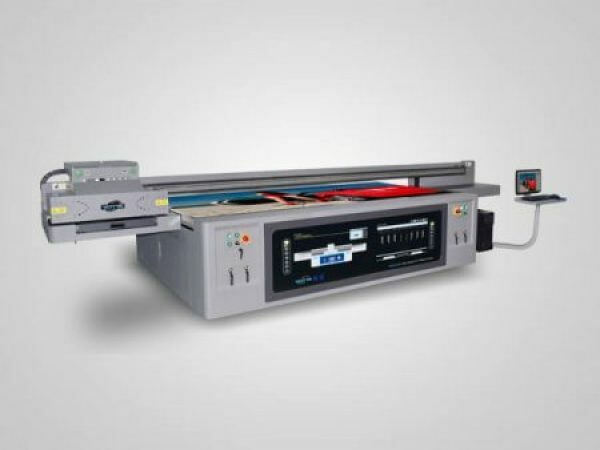 Ricoh Gen5 inkjet printhead, featured internal heating system, is high-performance, and it is very suitable for long-time working, 24 hours running. If maintain in good condition, it lifetime can reach about 5 years.